The Premier Bride Expo is back at the Prime Osborne Convention Center on Sunday, January 15th from 1-4 pm! We are so excited about the theme of the expo – “River City Romance” because it focuses on Downtown Jacksonville and our famous landmarks. Premier Bride Magazine and a talented team of professional wedding vendors, including; becphotography, Day Eight Films, Beautiful Faces by Erin, The Lexington Hotel, Events by Me, Sea Horse Florist, Coastal Coordinating, Happily Ever After Floral, Custom Confections, Chloe + Isabel by Suzza, First Coast Weddings and Events Michaels Bridal and Formals, Bridals & More, LOVE Boutique, Black Tie Formals, The Engagement Ring & Wedding Ring Studio and Embellished Embroidery all came together to make this one fantastic shoot! These images will be in our 20+ page fashion and décor spread in the next issue of Premier Bride and one images was selected to be our official show poster! 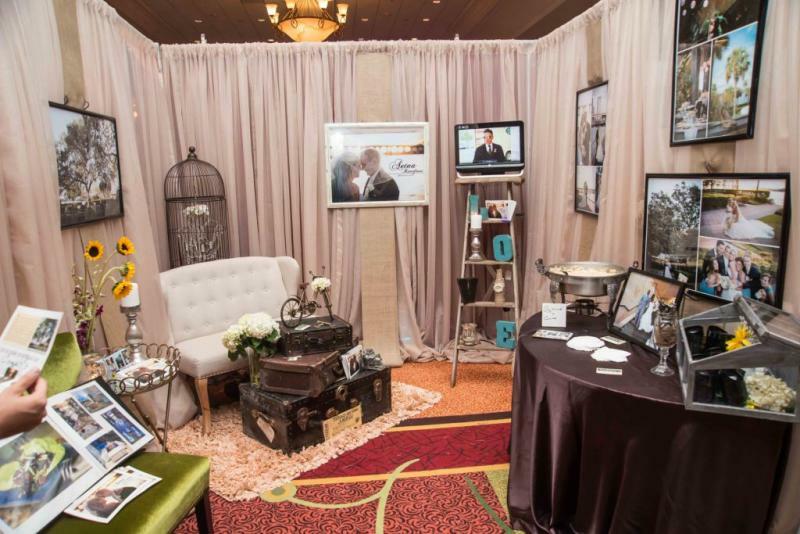 At the expo, you will see other inspirations from over 120+ of Northeast Florida’s premier wedding vendors, so don’t miss out! Tickets are $8 online or $12 at the door. Remember, if the show is not called “Premier” then it’s just average! 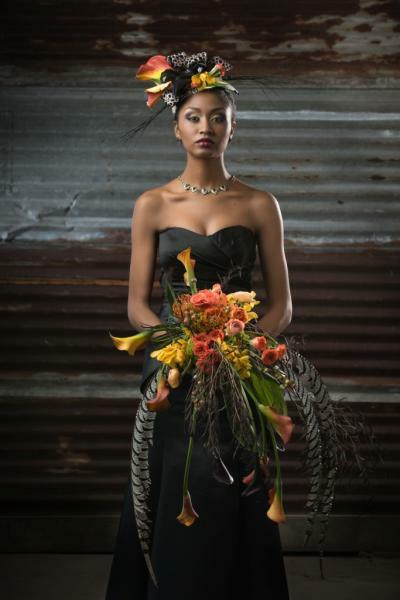 The Premier Bride Expo image for our “Industrial Chic” expo on February 19th at the Renaissance Resort at World Golf Village is one of our favorites to date. This image was shot with the collaboration of many Premier Bride vendors. This image was taken by the talented David Walters of Monarch Studio, located in St. Augustine Florida. David, Scott and Julie, from Monarch Studio was the team of photographers who were behind the fashion and many décor photos from our “Rock & Roll Bride” shoot. If you love the elements of this image, please contact our talented vendors to help you with your wedding or special event! Brides, Grooms, Friends, Family and Vendors...mark your calendars! Sunday, January 15th from 1-4 pm at the Prime Osborn Convention Center in Jacksonville, FL! The theme for the show is “River City Romance” with colors in black, white and rose gold. It is a very modern look! This theme will also be the displayed in a 20 page fashion and décor spread that Premier Bride Magazine will feature in the Winter/Spring 2017 edition. Copies of the magazine will be available, for free, at the show! Make sure you check out our “Décor Showcase” at the entrance of the expo! Sunday, February 19th from 1-4 pm at the Renaissance Resort at World Golf Village in St. Augustine Fl. The theme for the show is “Industrial Chic.” This theme has colors in oranges, yellows, browns, black and silver. The theme for this show is inspired by the hard industrial elements, softened for the wedding look! If you have not figured it out already, there are a lot of different aspects to planning your wedding. Choosing a florist and picking out arrangements, flowers, and flower décor is an important element to your wedding with many different “moving pats” that effect the price you will pay for your flowers. At Premier Bride, our mission is to educate brides and grooms on the wedding planning process. Here are some great tips and things to consider when choosing a florist and selecting your flowers! We would also like to thank Anything with Plants and Flowers who created the arrangements and wrote some of the advice below! 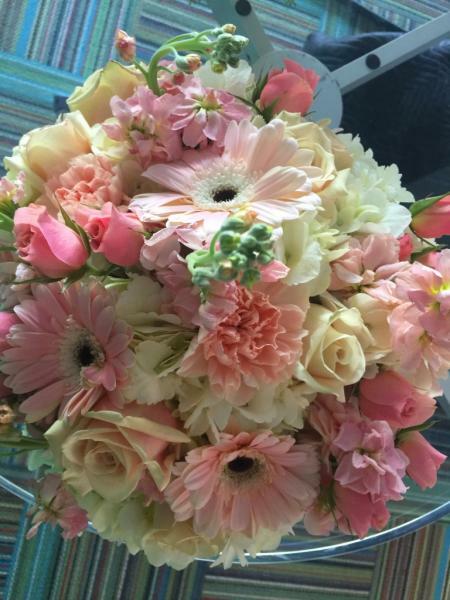 · An important consideration is to make sure your florist has a proper cooler to store the flowers in. Home refrigerators do not hold flowers at the proper temps and will kill your flowers. · Ask for references! Make sure you check out the work that they have done from real weddings. Remember, anyone can pull pictures off the internet! · Just because you see something online or on Pinterest does not mean that it can be duplicated. Some things to consider, silk flowers might have been used, you don’t know what season it was and the availability of the flowers or what part of the country the image was taken in. Let’s talk about budget! It is so important to be honest with your florist about your budget. Almost all wedding can work within any reasonable budget. It does not mean you will get exactly what you want, but a true floral professional will be able to present you with comparable alternatives! 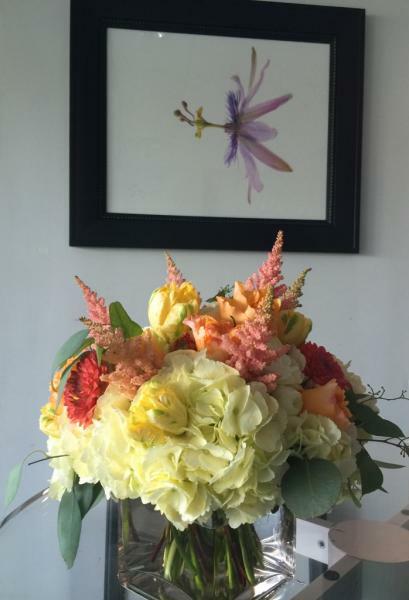 · Ask yourself, are you set on a particular flower or a particular look? 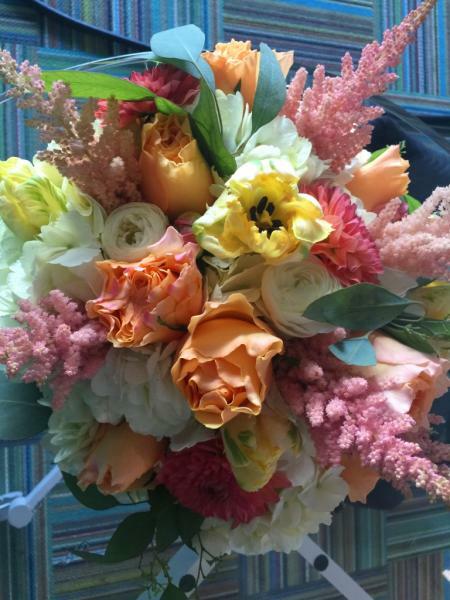 The bottom line is that a professional, educated florist can present you options. By being honest about budget and being able to give your florist a vision, they can present you options to make your flowers, bouquets and arrangements for your wedding. Here are two examples of centerpieces for weddings. Anything With Plants and Flowers wanted to show similar centerpieces in the same size and color, however, their price is $100 difference because of the flowers. Remember, no one is going to know what might be missing in your arrangements! 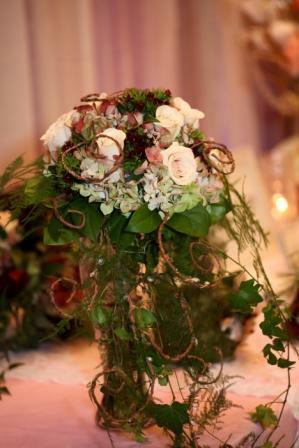 We also want to point out the amazing artwork behing the beautiful arrangements - this is by Susna Michal! You are engaged...now the wedding planning starts! One of the most popular topics of conversation is how brides and grooms can save money when they are planning their wedding. It is important to understand, you don’t have to sacrifice hiring quality wedding vendors to save money! Remember, it's one of the most important days of your life so make it meaningful and special to you! When you are starting your wedding planning process, sit down with your fiancé and establish a budget. Talk with your parents and see if they are going to contribute to wedding financially so you know what you have to work during the planning process. 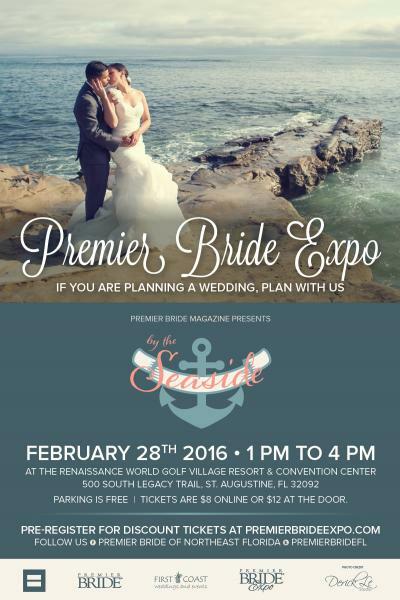 Attend one of our Premier Bride Expos and pick up your copy of Premier Bride Magazine of Northeast Florida! 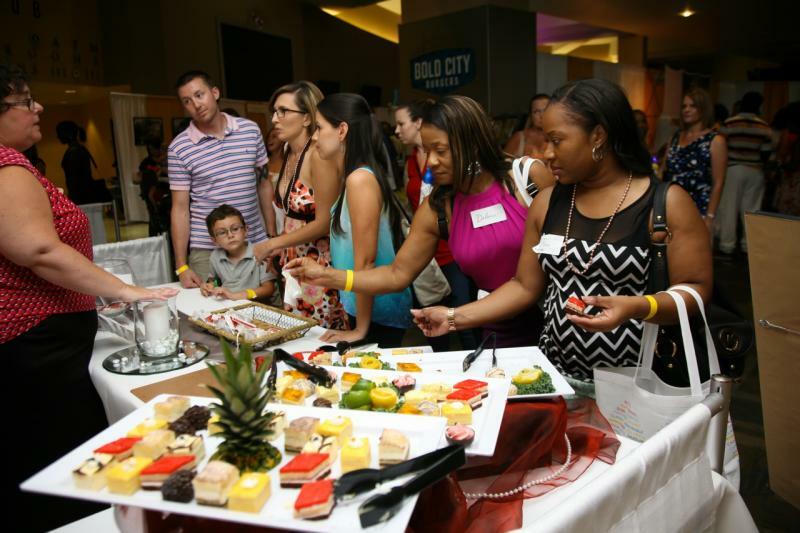 The expos allows you to “Speed Date” wedding vendors and can offer discounts! The magazine is packed with many other tips and advice on all aspects of the wedding planning process! 3. Reduce the number of ceremony musicians from multiple musicians to one or two. 6. 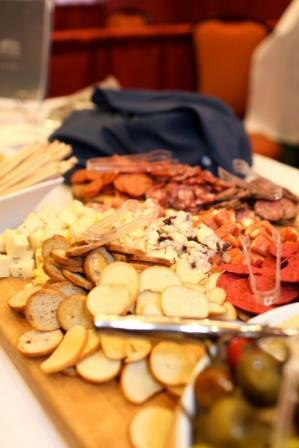 Talk to a few catering companies and get quotes to compare. 2. 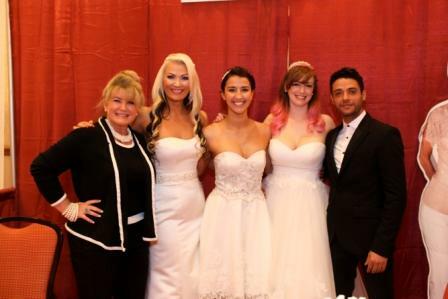 Bridal salons also have trunk shows for wedding dress designers. These trunk shows typically offer discounts or sales. 4. 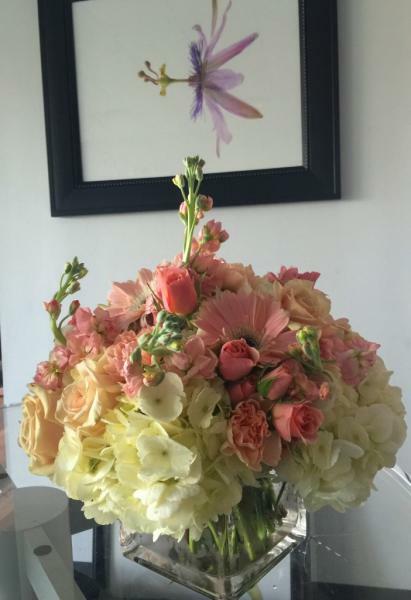 If you are trying to achieve a certain look (height or fullness for arrangements) work with a florist to find alternative flowers that might not be as expensive. 7. Have a bridesmaid or sister that is also getting married? Booking the same DJ (or the same wedding vendors for that matter) could get you discounts! Just remember that hiring a true wedding professional will save you money and time in the long run. Individuals and businesses that work weddings every weekend do it because they love helping brides and grooms create the wedding of their dreams. Many of them have done hundreds, if not thousands of weddings so and they love to offer advice and tips to their clients….take advantage of their knowledge and experience. You do not have reduce the quality of wedding vendors you hire…you just have to prioritize what is important to you, be honest with the vendors about budget, and plan smarter! Mark your calendars for the last bridal show of 2016…the Premier Bride Expo at the Renaissance Resort at World Golf Village on Sunday, September 18th from 1-4 pm! 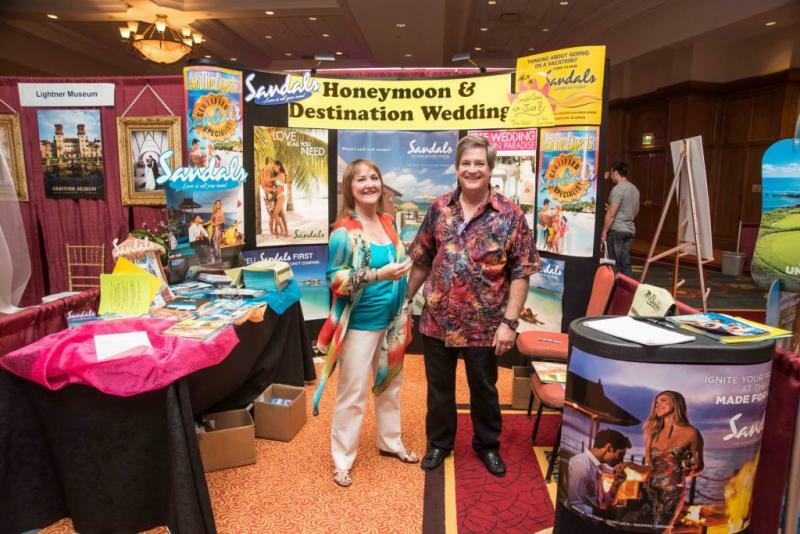 Brides, grooms, friends, family and all the professional wedding vendors know that that Premier Bride Expo’s in Northeast Florida live up to their name…they are the PREMIER wedding shows. 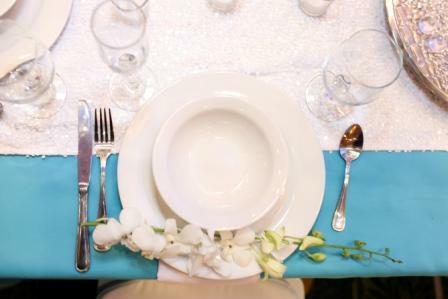 Each show features over 100 of the very best wedding professionals in Northeast Florida. You can feel confident that each wedding vendor that exhibits at the show has a reputation for quality. 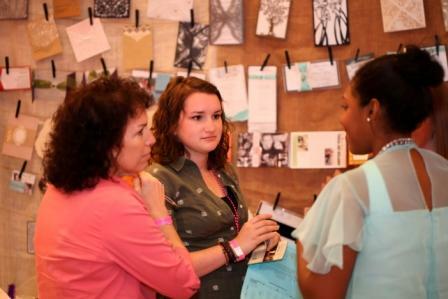 No matter what stage you are in the wedding planning process….there is something for you at the Premier Bride Expos. With other 100 different wedding vendors representing 20 different wedding categories, you can be assured that there is something for everyone. If you are just starting your wedding planning process the first thing you need is a wedding date and a venue. A wedding dress is important to set the tone and style of your wedding. 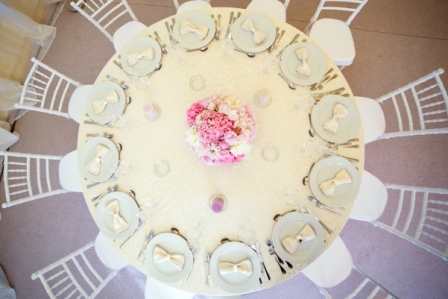 Hiring a wedding planner to guide you through the process is also something to strongly consider in the beginning. Booking a photographer, DJ, Cake Baker, Catering Company, Florist and Videographer is at the top of the list too! Many of these vendors book months to a year in advance. Hair & Makeup, Invitations, Transportation, Grooms Attire, Musicians, the Honeymoon, Dance Instruction, Health and Wellness, Décor and Rentals….are just some of the other details you will find at the shows. The Premier Bride Expos are different. Our focus is 100% on meeting and experiencing the bride/groom to vendor relationship. We want you meet one on one with the vendors, say hello, get to know them, experience their products and services, get information and make great decisions on who you will hire to help you make your wedding day an amazing experience! Each couple receives a swag bag as they walk through the door. This is great to collect all the information you will get during the expo. 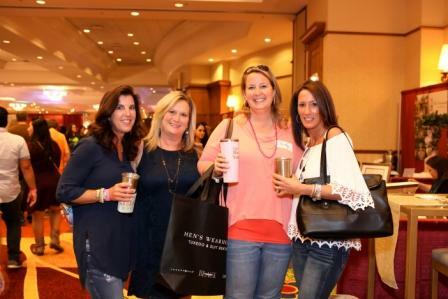 There are many prizes and give-a-ways that are available the day of the show, make sure you pre-register online at www.PremierBrideExpo.com to get a complete list the day before the show. We do give a honeymoon trip away each show, drawing is at 3:45 pm and you must be present to win! 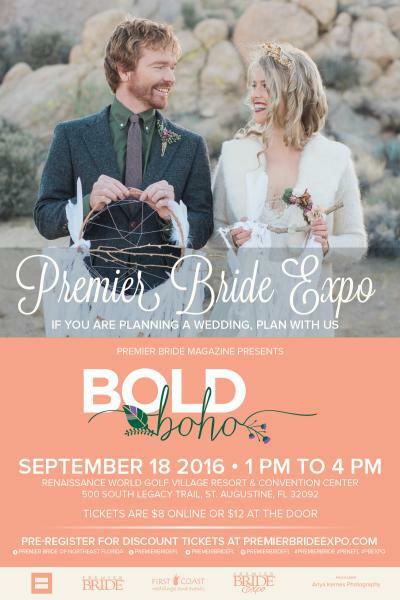 We hope to see you at the Premeir Bride Expo! Make sure you pick up the latest copy of Premier Bride Magazine or visit our website at www.PBJacksonville.com to find vendors, information and tips! 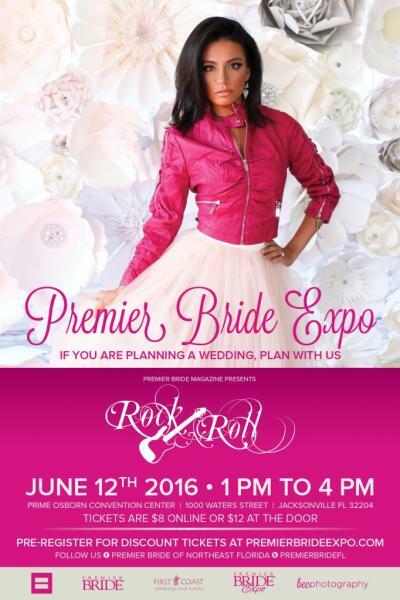 Premier Bride Expo - Jacksonville "Rock N Roll"
Jacksonville, get ready for the “Rock N Roll” Premier Bride Expo happening on June 12th at the Prime Osborn Convention Center! The theme for the expo is inspired from the fashion and décor photo shoot that happened for the new edition of Premier Bride Magazine! 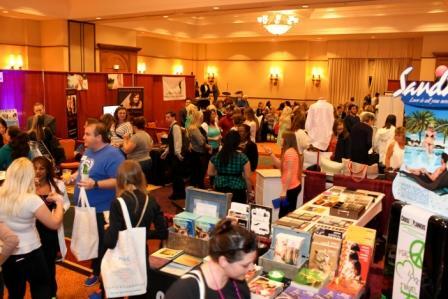 Expect to meet well over 100 of the top wedding professionals in the Jacksonville and surrounding area at the show. 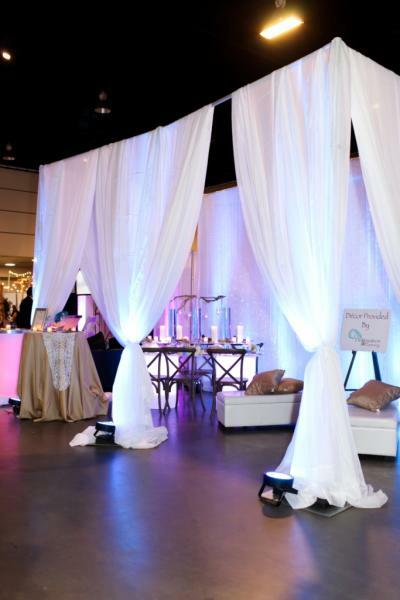 There will be vendors representing all aspects of the wedding planning process. There will be wedding venues, photographers, invitations, honeymoons & travel, catering companies, cake & sweets, videographers, bridal salons, beauty, health, grooms wear, florists, DJ’s & musicians, transportation, accessories, and so much more! We encourage all brides & grooms to attend with their significant other! It is also recommended that you only bring other people to the show who are part of the decision making process. 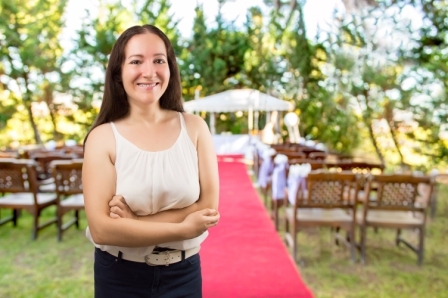 Large groups of people are always welcome, but if you are coming to the show to book your wedding vendors, having a large entourage it can be harder to talk to everyone you want too. Another trick is to print labels so you can peel and stick instead of writing out all of our information. Most vendors will have prizes at their booths, but they do require filling out a registration form. Your labels should include your name, phone, email, wedding date and address! We also suggest pre-registering and pre-paying for the bridal show online and printing out your tickets. This will allow for a speedy entry at the show. If you can not print out your tickets, don’t worry, we will be able to look up your registration and payment online. This line is sometimes long, so if you can print your tickets out that would be best! Tickets are $8 online or $12 at the door. Doors open at 1 pm to 4 pm! 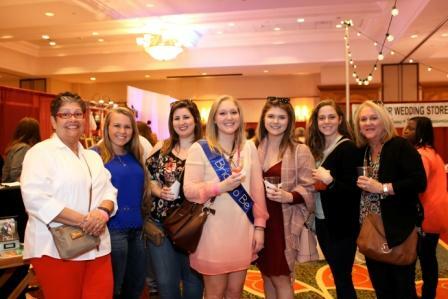 Over 450 brides and grooms, plus the friends and family come to the Premier Bride Expo on February 28th in St. Augustine Florida at the Renaissance Resort at World Golf Village! 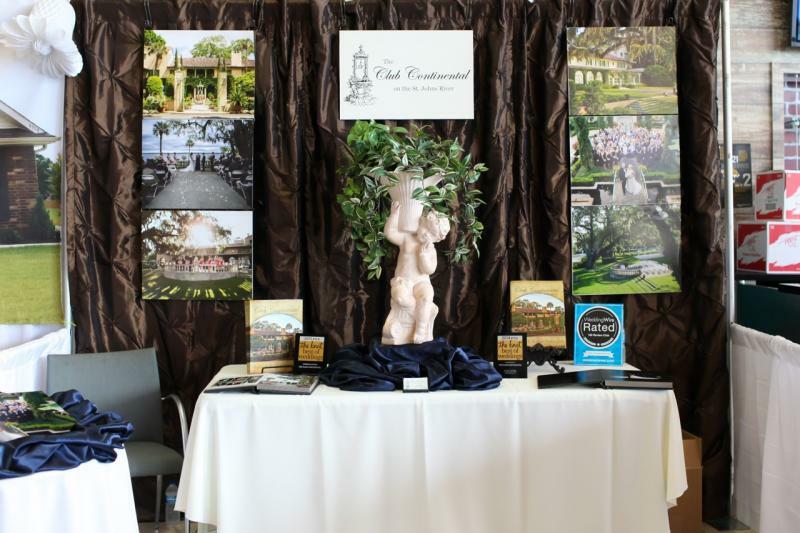 The Premier Bride Expos are the PREMIER wedding shows in Northeast Florida. 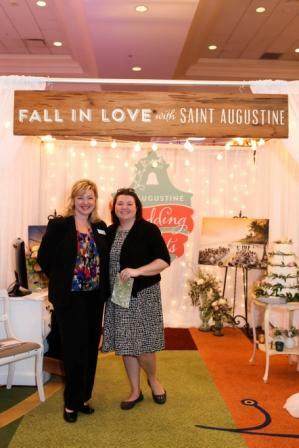 Well over 100 of the top wedding professionals in the industry attend the shows wanting to meet Northeast Florida’s couples getting married. Remember, if it does not have PREMIER in the name…it’s just an average show! 28. And many other vendors that help make your wedding special, unique and memorable! Make sure you pick up your copy of Premier Bride Magazine – the only Northeast Florida publication and website local to this area! You can also view it online at any time and download it to your tablet or smart phone. 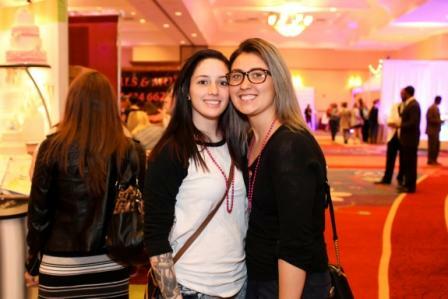 Enjoy the images from the last Premier Bride Expo and make sure you check out the next show on June 12th at the Prime Osborn Convention Center in Jacksonville Florida! If you are planning a wedding...make sure you plan with us! The Premier Bride Expo is headed back to the Renaissance Resort at World Golf Village in St. Augustine Florida on February 28th! The doors open to the brides, grooms, friends and family from 1-4 pm. 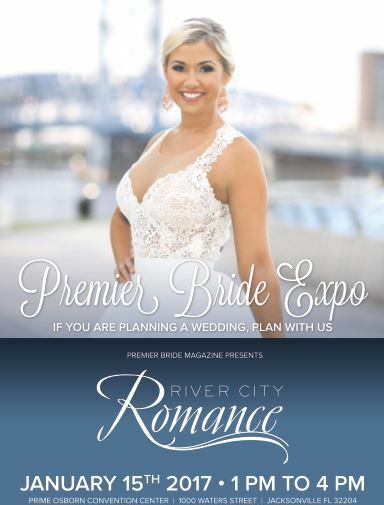 No matter what stage you are in the wedding planning process the Premier Bride Expo has something for you. 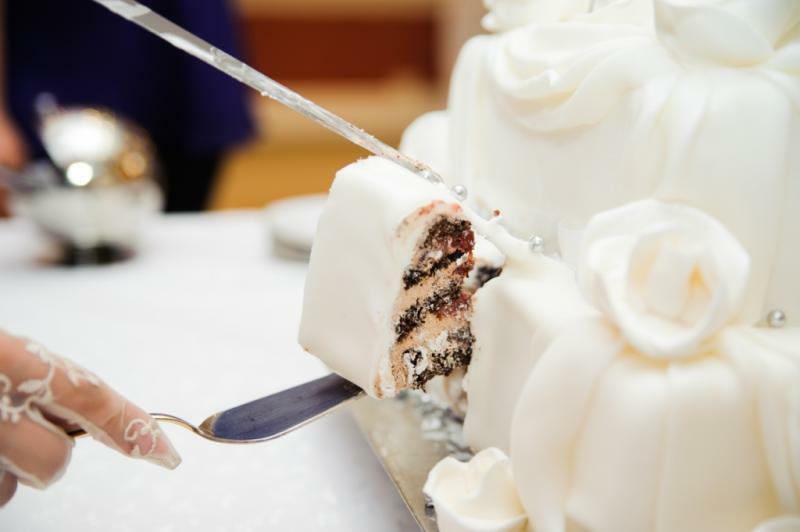 We have vendors representing over 20 different wedding categories; Bridal Attire to Videography, Catering to Transportation, Cakes to Photography, Dance Instruction to Rentals and Décor, DJ’s to Reception Venues, Flowers to Tuxedos and so much more! 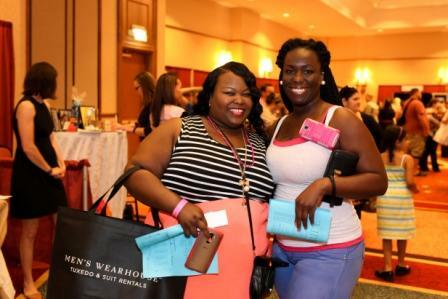 Every bride or couple receives a swag bag when the attend the expo. Discounted tickets can be purchased online on this website or you can buy your ticket at the door. Make sure you pick up the latest copy of Premier Bride Magazine or check it out online here! 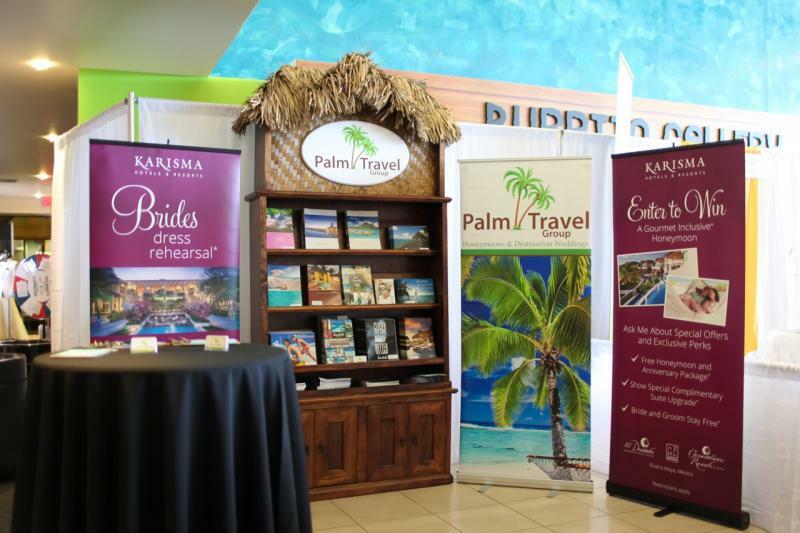 Thinking about being an exhibitor at the Premier Bride Expo? Here are two different types of booth spaces that we offer; 10x10 standard booth and a 5x5 hightop booth space. All of our standard booths are 10x10 in size. 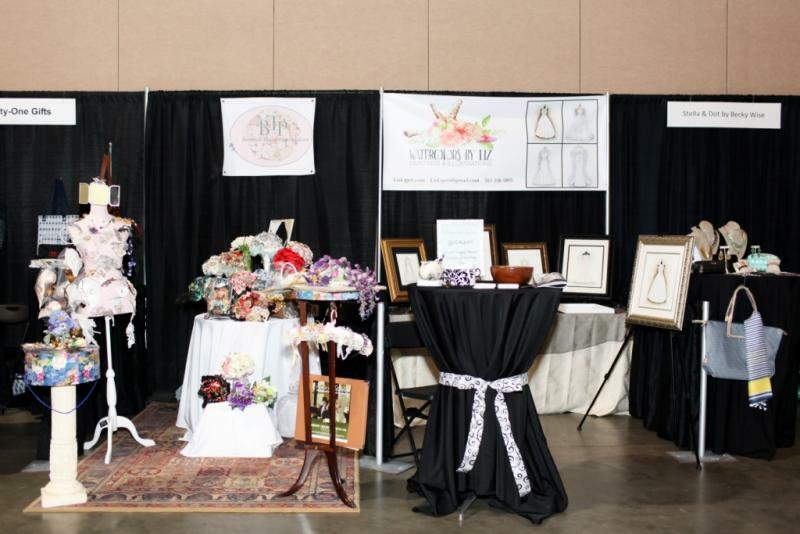 You can purchase multiple booths if you need extra space to showcase your business. Each booth comes with pipe and drape (to separate the booths), a banquet table, linen, chairs and a sign for your booth. Each booth set up makes it possible for you to come in, set up your material and participate in the expo. You are also allowed to decorate your booth any way you wish as long as you fit within the 10x10 booth space. 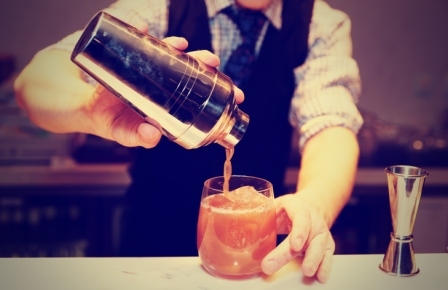 This includes bringing in your own tables and linens. 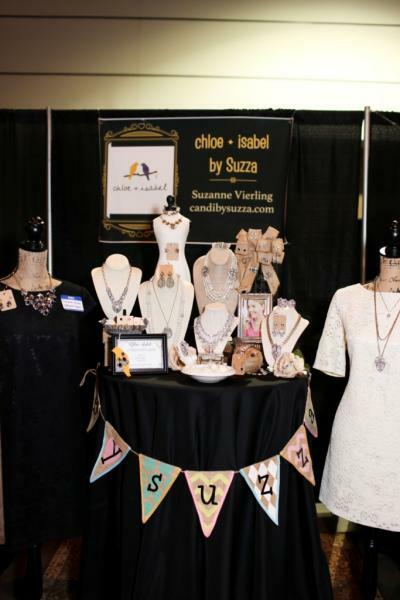 Some vendors choose to set up with a tent, custom draping, string lights, wood panels…and so much more! 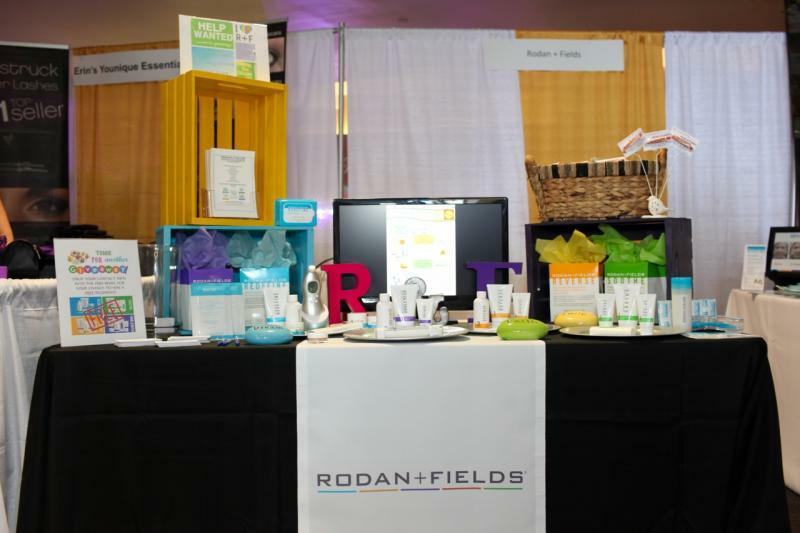 We encourage you to decorate your booth so it best reflects your business! 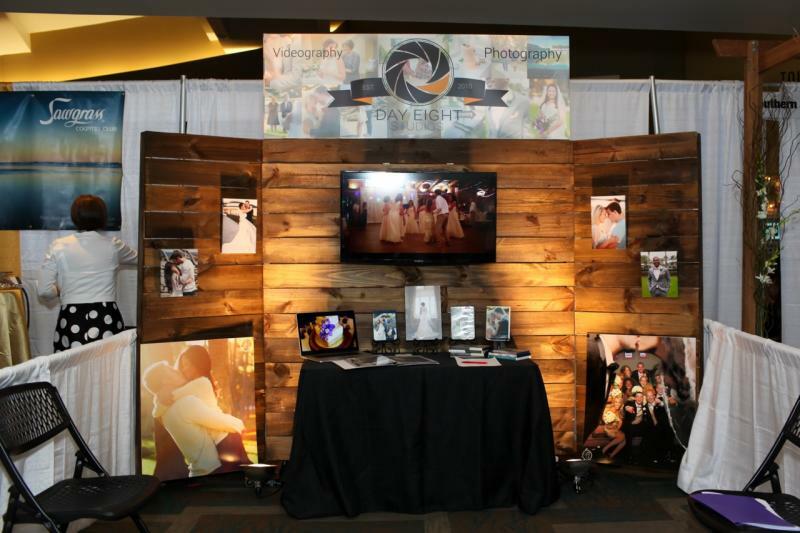 Here are some great examples of booth décor! This is a 20x10 booth space! Our second booth option is a 5x5 high top booth space. This type of space is reserved for business like; wedding officiates, musicians, skin care, jewelry, and other types of wedding services that do not take up a large part of the wedding budget. Each high top booth space comes with pipe, drape, a 30 inch high top or low boy table, linen, chairs and a sign for our booth. You can bring in extra tables and decorate your space any way you wish as long as you stay within the 5x5 space. Here are some great examples of high top booth spaces.